Above all, Alpha Epsilon Pi Zeta Tau is a place for brotherhood. Initiation into our Fraternity brings with it friendships that will last a lifetime and the benefits of being part of an international organization full of the leaders of tomorrow, and today. 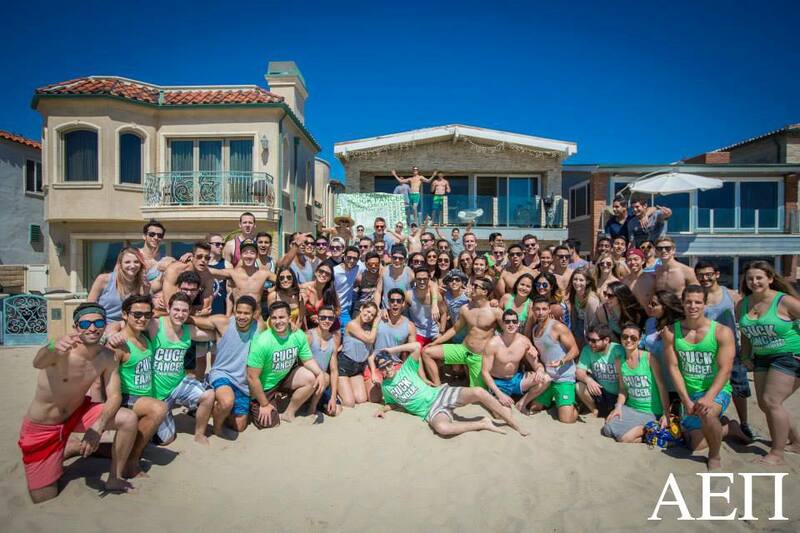 AEPi ZT has been committed to the UCI community since its founding. Our brothers have spread their involvement to ASUCI, the Interfraternity Council, the New University, the UCI Cheerleading Squad, the UCI Hockey Team, the UCI Track Team and many other extracurricular activities, and have been recognized with numerous Greek Awards in recent years for community service, sportsmanship, and academics. In the time that Alpha Epsilon Pi has been on the UC Irvine campus, we have consistently ranked at the top of on campus fraternities for GPA. Our involvement extends beyond the UC Irvine campus. Members of Alpha Epsilon Pi Zeta Tau can often be found in the surrounding community making a difference, be it volunteering through Hillel, raising money for Cuck Fancer, our Chapter’s official philanthropy, or countless other ways to give back to Irvine. Alpha Epsilon Pi holds a spot of esteem among The Greek Community for its chapter of tight knit brothers and upstanding gentlemen. To find out more about how you can become a Brother of Alpha Epsilon Pi, please visit our Rush page.